The scampire strikes back! | It's a Miracle! Three weeks ago, I posted a detailed exposé on a sophisticated scam targeting Indian job-seekers. In that post, I laid bare details found in a fake job-offer letter that a very close acquaintance of mine had received. In the interim, one of the websites used by the scamsters for the regal sounding Roland Chambers has become active again! I became aware because one of the search strings used to find my blog today was “roland chambers + immigration”. If those who searched and came to my blog read my post, I hope better sense prevailed. Screenshot of website. "Any problem: No problem"
Now on to the website. The first thing you notice about the URL is that it is rolandchamber.com not rolandchambers.com. It is possible that the scamsters have exhausted the utility of the latter and want to milk the deviant for as long as possible after which they will invariably move on to another one. It is registered to a certain Jennifer Vilayvong who is a real middle-aged lady with kids who lives in a nice two-story red house with black trimmings in the quiet town of Macon, Georgia, USA. Her name does come up with a couple of other websites tagged as belonging to fraudsters such as the United Basic Development Organisation. It is possible that she is unaware that her name and address are being used for nefarious purposes and she herself may have recently been a victim of identity theft by the international fraud nexus. 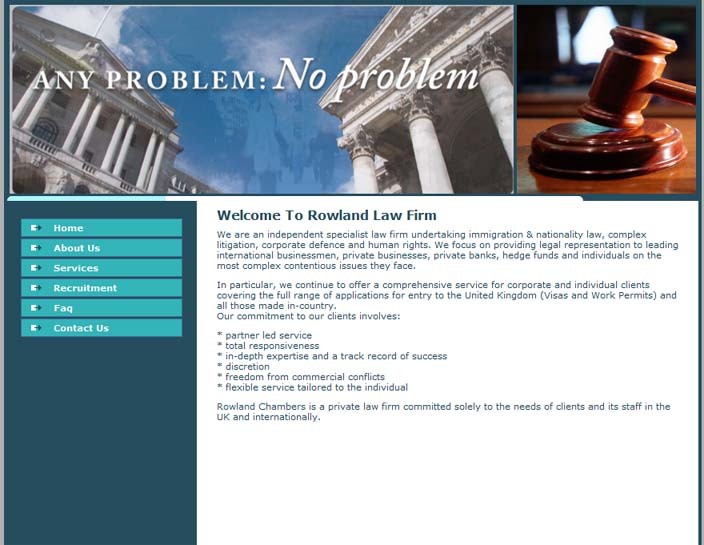 The Roland Chambers website is supposedly based in the UK (but does not use .co.uk). The website itself looks fairly innocuous with an “Impossibility is never in our dictionary” running banner and solicitors named David Bauer, Frederick Fridge, Roy Smith, Jose Mathias, Alien Cook [sic], and Joyce Russell. 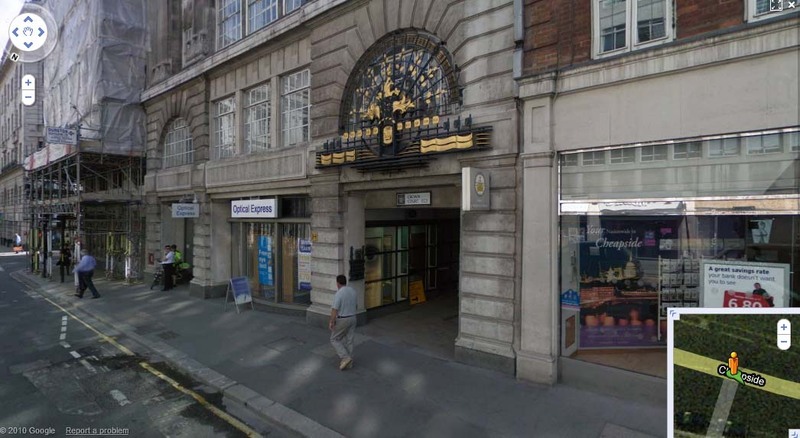 There are a lot of other subtle and not-so-subtle clues, but I immediately focused on the address given – “Rowland Chambers, 1 Crown Court,66 Cheapside, London”. In the previous incarnation of the website, if you did a map-search of the location that was given and selected the street-view, you’d get a house somewhere in London which would immediately arouse your suspicions. The scammers have evolved now and you are not so sure because the view is of a cluster of shops hidden from plain sight. I have to smile and appreciate one thing though. If you dig deep enough, you’ll find that the address belongs to a legitimate law film in the borough of London known as Doyle Clayton Solicitors Limited. Who says that because fraudsters are devious, that they are naturally incompetent as well?